A few years ago I tried fresh jackfruit and frankly I didn't like it at all, but I had a sandwich this past week that made me see it in a new light. Cook this fruit with some spices and you end up with a meat substitute that resembles pulled pork in both appearance and texture. My mind is still blown. 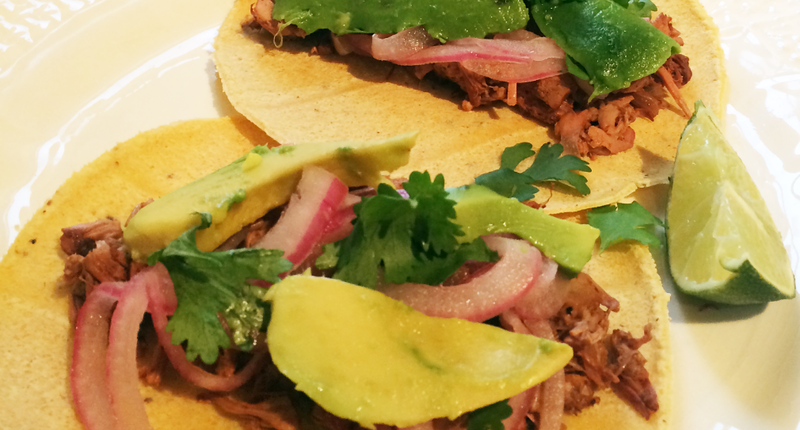 Try these tacos on Meatless Monday OR Taco Tuesday! I fed them to my roommates last night and they couldn't believe it wasn't the real thing. Mix everything together when you start preparing the jackfruit and let sit until you’re ready to eat, stirring occasionally. The longer the better!